While pondering which glum topic to touch upon today, I became inclined to write about the fact that President Obama had not met with a single foreign leader who visited New York this week for the United Nations General Assembly. As described in Newsmax, this prompted criticisms and at least quizzical reactions from several quarters. Add me to the list. The fact that Obama made time to appear on The View accentuates the anomalous situation. Meeting with foreign leaders is what Presidents have generally done in situations like this. Given the unrest in Egypt, for example, meeting the new President of that country seemed like a good idea in particular. The White House has defended the decision with a “if you meet with one you have to meet with a lot of them” kind of logic (though in the past, Presidents have seemed capable of drawing a line). They have also noted that Secretary of State Hillary Clinton will have a number of bilateral meetings with leaders. But it seems to me there is something important in having the “big guy” meet with at least a few of these leaders, especially when he finds time to appear on The View. Despite all of our connective contraptions, or perhaps because of them, there is still something special about face to face meetings, especially with people you must deal with on important matters but haven’t met. If this were not true, business executives would never bother to fly to meet each other. President Obama has often been characterized as aloof and virtually incapable of schmoozing and if he is to become more successful with Congress this next term (assuming the world economy doesn’t collapse by then, making Mitt decidedly more attractive as the Un-Obama) a more personal touch seems likely to be needed. If he gets re-elected I’ll get back to this point in a later post. Since beginning to write this post I ran across a clip from The Daily Show this past Tuesday, Sept 25. In typical Jon Steward fashion he captures the oddity of the Obama U. N. mini-appearance in a laugh-out-loud way, then follows it up by making fun of Mitt Romney’s lame campaign and ends with a serious interview with King Abdullah II of Jordan. The last part helps give some perspective on the Muslim/Arab world and the limits of U. S. power there. For Romney supporters who cannot stomach more bashing of their candidate (even if in gest), you could go to the link above to see Obama bashed and then use this link to skip to the end segment interview with Abdullah which I think would be interesting to most. You will have to endure a several second commercial there first, but aren’t we all used to that by now? This is me reaching out to those to the right of me. A Look at the Budget Game or at the Fall TV Lineup? the nonpartisan Wilson Center and the Public Insight Network devised the game, at BudgetHero.org, to allow would-be budget-cutters to try their preferred mix of policy proposals. “Play the “Romney Badge” and plug in the various elements of GOP presidential nominee Mitt Romney’s fiscal policy. Uh oh, you lose: The government goes bust — the point at which it can pay for nothing other than mandatory spending such as Medicare and Social Security — in 2025. Playing the “Obama Badge” isn’t much better: President Obama’s policy prescriptions would have the government going belly up — the Pentagon and most other government functions shutting down — in 2028. Oh, dear, maybe I have ruined all the fun by revealing too much. Well, if anybody does play the game and can beat the Obama score by much, please let me know. For now, since some new TV shows debut this week, perhaps you’d prefer to preview them and push consideration of our budget woes until later since that is what Congress is doing. If so, you can go to this Washington Post link, which gives brief reviews of the fall series lineup and grades them (not including premium channels like HBO, of Showcase). There is a certain timeliness to this in that at least a couple are on tonight, Tuesday. Those who don’t watch TV will have to figure out something else to do with themselves. I can’t be held responsible for entertaining everyone. ….in terms of the opponents he has drawn. That’s how Matt Miller, whom I regard as a centrist, ends a recent Washington Post editorial about Mitt Romney’s latest gaff, the one about the “47% who don’t pay income taxes” who will vote for Obama because they do not take responsibility for their own lives. There are several problems with the Romney statement, besides the fact it insults 47% of American voters. A majority of that 47% either do pay quite a bit in taxes, most notably payroll taxes which makes up about 36% of federal income compared with about 47% from income tax (the two “47s” are just a coincidence). The Republicans never mention that 36% figure, or that most Americans pay more in payroll taxes than income taxes, or a number of other inconvenient details about those who do not pay income taxes, such as around one-fifth of them are elderly. That would detract from the Republican fantasy of being the makers victimized by all of those takers out there. Miller provides some of these details in his editorial. Now my more conservative readers are probably thinking, “you really are an Obama lover and take every opportunity to bash Romney and the Republicans.” Well, if you look around you can find a number of Republican/conservative voices criticizing Romney’s “47 %” statement. One example, is columnist Andrew Sullivan of the The Daily Beast (linked at bottom), who considers himself a political conservative. 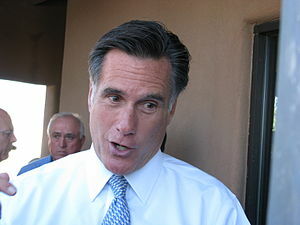 He shows a chart of the 47%, and concludes: “Make of this what you will, but in terms of partisan politics it seems very likely that a large share of these elderly freeloaders are actually Romney voters.” Sullivan’s statements are followed by several responses, mostly critical of Romney. I have read several articles about what is called the fiscal cliff which we are supposed to fall off at the beginning of the new year, assuming our Congress cannot come up with some agreements. Given that the Democrats don’t want to touch entitlement programs and the Republicans don’t want to raise taxes, there is little room for compromise, while to most serious observers a combination of the two will be necessary to make some progress in reshaping our fiscal disorder. “To understand the danger we may – or may not – be in, it’s worth recapping exactly what the fiscal cliff is. The fiscal cliff is a problem of Congress’s own making, which is not to say it will be one of Congress’s solving. In 2011, Congress passed the Budget Control Act. It was the seed of what we now call the fiscal cliff. Here’s what to expect: shortly after 1 January, unless Congress intervenes beforehand, we’ll see two things happen: $100bn of automatic spending cuts, along with the demise of a batch of tax cuts that have been a crutch for the weak economy – the Bush-era tax cuts that have kept taxes low for eight years; and Obama’s 2% payroll-tax holiday. One important point to add is that the Budget Control Act came about as a way of getting the debt ceiling raised, something the Tea Party people in particular fought tooth and nail. Congress has been in the habit of raising the ceiling year after year, which is exactly why the Tea Party was so adamant about not doing it again. To get the votes to raise the budget ceiling the Budget Control Act was shaped to force congress to make across-the-board cuts in the budget this January if they could not come up with agreed upon cuts before then. Well – surprise, surprise – they have failed to do that and don’t seem likely to succeed at this late date. And, again, if all the spending cuts and tax hikes take place this January, another recession seems more than likely. Frightening as that may sound, here is the bad good news. We may reach a soft landing in the early part of 2013 because if possible, Congress will come up with more stop gap extensions to push the fiscal cliff a bit further ahead. This seems likely because: 1) they are much better at agreeing to delay resolving a problem than resolving it and 2) I have read statements by members of both parties indicating they would like from six to 12 months to come up with something like a “sensible” solution. Of course, they already have had months and months, but I guess hope springs eternal (maybe less prominent electioneering smearing both sides will help a bit). And the debt ceiling issue might come up again depending on how the other factors play out, but at this point it is guesswork for me. The good news is I don’t feel the need to dive further into these murky waters for awhile at least. These issues, taking various forms, figure to hang around for a long, long time. Of course, the attacks Tuesday on our embassies in Egypt and Libya have thrust the foreign policy dimension of the presidency to the fore allowing the economic ones to fade momentarily to the background. As petty as it is, I feel put out by having to write a more relevant post, and I am struck by how, to an exponentially greater degree, these events must be changing President Obama’s plans as well. Not just politically, of course, but in terms of his guidance of our overall response as a nation to these events. That’s the kind of thing a president has to deal with almost daily. There is always something unexpected coming in, and we usually don’t hear anything about them unless they are handled badly. I for one prize Obama’s proven coolness under these pressures. Of course, from the Republican point of view, everything Obama does is handled badly, so it is no surprise that the Romney team uncovered something “disgraceful” immediately after the crisis broke out. Amidst puzzling events unfolding, Romney seized upon a public statement made by someone in the embassy in Egypt prior to their walls being breached (someone who it now appears, acted on his own). A statement that he calls “akin to an apology’ for American values and a “disgraceful” act. Four American diplomats murdered in Libya and a continuing tumult for the President to deal with throughout the Arab world and Mitt Romney takes an on-line release by an embassy worker and makes it seem a revelation of our basic problem with the Arab world……. We apologize too much (*1). I assume you have a general sense of the issue and if you want a detailed one, I provide a couple of links at the bottom. Good advice Peggie, but Mitt is desperate to win votes at this point and will say anything to get them. I don’t see that tactic working here, but we’ll wait and see. For now, I suggest you read the outline of those initial events in the Outside the Beltway blog, which appear to be presented impartially (*2). Read it and decide for yourself whose actions have been disgraceful. (*1) You might also want to read this Washington Post editorial today which covers the same ground especially attentive to the notion that Obama often “apologizes” for American values. (*2) I read several pieces about the Romney reaction, but chose this one as it seems more detailed than others and not particularly pro-Obama . I infer not too “pro-Obama” because in a short survey of its readers regarding the president’s overall performance, 50% judged it as “very unfavorable” and only 26% “very favorable. I myself was among the 15% judging it “somewhat favorable.” Though, as with all surveys, I’d add a caveat, somewhat favorable under very unfavorable circumstances. You may have similar thoughts when thinking about our politics, economy and media. Recently, I have dwelt on the issue of “post-truth politics” (*1) because our politics are so polluted with misinformation that it is hard to find our bearings in relation to truth. The creation of a cottage industry of fact checkers helps, but who besides an old bachelor with a limited social life or a younger, obsessive policy wonk is willing to do that? Most people have lives. On the bright side, you may have heard there is a new smart phone ap that reveals the sponsors of Super PAC ads and their orientation, but at this stage it still depends on also checking with the fact checkers, which puts you smart-phoners back into my old boat. However, in four years (Two? Next month? ), I bet they have the truth ap down, so one gets an instant truth reading and people like me won’t feel a need to synthesize fact checkers as I did in my previous post. The only down side I see is that it will compel me to buy a smart phone. But all of that does not quite get at a lingering anxiety that I have felt while writing most of what I have written lately. When I dwell on the nuances of truth, I may seem to be missing the big picture, which is not who will be elected, but what will the retained or new President and another likely gridlocked Congress be able to accomplish once they are elected. I just want you to know that I’m not missing the main point, I’m just not discussing it right now because there is no rush. Nothing will be done about the “big picture” until this election is over. Now that the NFL is back in season, I sometimes watch their pundits analyze likely outcomes and feel it no different then watching the political pundits analyze the win potential of the candidates. There is a difference, however. In football they are analyzing the real game about to be played. In politics they are analyzing the potential of candidates to make the team that will play the real game after Nov 6. Another difference is it will take longer for us to see whether we picked a losing team or not. When the real political game begins, the first question will be: How are we going to navigate through what is often called the “fiscal cliff” which in line with my Titanic theme I envision as a field of icebergs. Many economists believe that poor navigation could send our economy in reverse early next year, something I did not see brought up at either convention. (It’s complicated and doesn’t make for a simple sound bite likely to prompt cheers). If you don’t know about the fiscal cliff…..you might as well remain blissfully unawares for another football weekend or two. I’ll get to it soon enough in a post, but until then you might as well stay unawares, especially since our politicians won’t get around to it until some time after Nov 6. Today I just wanted to make you aware that assessing who is lying more about whom is actually not my central interest, despite being closely tied. My primary interest lies in how the new captain and crew will direct our ship of state. Will we come to feel more or less like passengers on our own Titanic? I particularly wanted to make one reader/friend aware of this, as he may have gotten impatient with my trying to parse the truthfulness of Bill Clinton’s speech in my previous post. “Exactly NOBODY addresses the problems. They all throw out meaningless phrases – “Family values”, “Return the Country to Prosperity”, “Create jobs for everyone”, “live the American Dream”. They never provide specific programs or how programs are to be funded. Has anybody once said we have to fix SS and them make specific proposals to achieve that goal. None of them have any integrity or courage to tell the voters that they can’t have everything, they have to pay more in taxes, and entitlements will be cut. I hear you brother. I hear you…. (*1) In an earlier post I suggested that Paul Krugman may have come up with the term “post-truth politics” which is now commonly used. David Roberts, who writes a blog on “energy, politics and more” claims credit for coining the term and then Krugman popularizing it in this piece. Especially because this gander, slick Willie, got mostly rave reviews for his persuasive rebuttal of most things Republican a couple of nights ago. Well, Rush Limbaugh said the speech was boring, what little he watched, and that it wouldn’t help Obama at all. So, there is one vote against (not to mention hours of talk show fodder as Rushbo reveals why he alone sees what others do not). A persuasive speech, but how much was true? It is too much to cover fully, but having read a handful of fact checkers, I’ll try to give an integrated gist. Glenn Kessler, fact checker at the Washington Post, gave what he called “an initial take”, which was a quick survey of what he found faulty or misleading. The Democrat/Obama plan to cut $4 trillion in the budget over a decade, Kessler described as a “major budget gimmick” and he called the 4.5 million private sector jobs produced during the last 29 months of Obama’s administration a “cherry picked” figure. He had several other criticisms, including one mentioned below, not so much of Clinton but of what others said at the convention, too much to go over here. In concentrating only on the flaws in the speech Kessler gives no sense of much that was true, more or less. My guess is after carving up Paul Ryan he didn’t want to be seen as soft on Bill Clinton. One of Kessler’s major criticisms – crediting the ACA with slowing down the growth rate of health care costs – seems most shared by other checkers. As Factcheck.org wrote: “The worst we could fault him (Clinton) for was a suggestion that President Obama’s Affordable Care Act was responsible for bringing down the rate of increase in health care spending, when the fact is that the law’s main provisions have yet to take effect.“ The causes of this decrease are somewhat debatable, but there seems general agreement not to credit the ACA for it. However, it is noteworthy that Factcheck.org viewed that as the worst exaggeration of the speech, calling “other exaggerations and missteps …. minor by comparison.” In fact, they said despite running down Clinton’s many statistics and factual claims, they found little to write about. CBS checked out seven claims made by Bill Clinton and found most of them more or less correct, while giving the Obama administration more credit than Kessler does in creating that $4.5 million jobs. 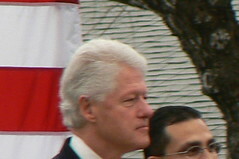 From reading these three sources (and a couple others as well), my impression is that, considering all the facts and figures Clinton mentioned over the course of his speech, he remained mostly in the ballpark of truth, implying some things that may not be true and are unlikely, but in this age of misinformation not bad at all. Especially given all that he talked about. That’s my sense of it all, and I am happy to report that Melanie Mason of the LA Times seems to agree with me. She did her own survey of the fact checkers and concluded: “Bill Clinton courts fact-checkers, earns mostly praise.” Check it out as she offers additional insights. Obviously, I think highly of Ms. Mason’s ability to analyze and synthesize. Next time I want to check something out, I’ll Google to see if she already has. It could save me a lot of time and energy.